This level has medium difficulty. 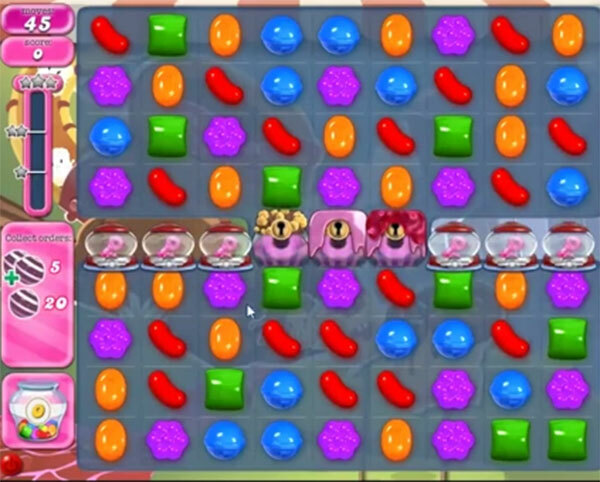 For this level try to play from bottom of the board to shuffle candies as it will help to make special candy. Try to make striped candy and combine with each other or break it to complete the target. I am the lonely ranger playing this game, i think. None of my friends play this anymore, How sad but i understand iT. I think I reach the END!!!! I can’t com plan anymore! The only think I can do is stop playing this game and not waiSting my time anymore. So goddelijke luck the rest of this lose game. This level is not done, so be it I am done with it. Just like other levels that were difficult, I will get through this one. Say that over and over again, like praying to the candy Gods. For me i and this level. Not diffilcult ? Haha ! Did you really quit? It’s been over a year since you posted that you were done with candy crush. Fun level but tough to make the double striped ones. Eventually though I’m sure it eill happen as this is doable.